The Center for Sleep Medicine applies the highest level of medical expertise toward improving the overall health and quality of life for those individuals who place themselves in our care. We commit ourselves to providing clinical, educational and technical excellence, respect, integrity and compassion to those persons who entrust us with their sleep health. Dr. Rajendra M. Rampersaud is a Board Certified Pulmonologist who holds and additional Board Certification in Sleep Medicine. 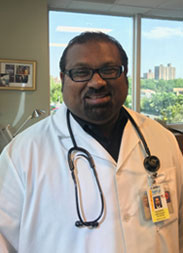 Dr. Rampersaud is the Medical Director of NY MetroSleep After Graduating from the University of the East in Manila, Philippines, Dr. Rampersaud began his Residency in Internal Medicine at Saint Vincent Catholic Medical Centers in Jamaica, New York. While at Saint Vincent Catholic Medical Centers, Dr. Rampersaud completed his pulmonary fellowship and worked as a Chief Medical Resident. Dr. Rampersaud completed his Pulmonary and ID Fellow at the National Jewish Medical and Research Center located in Denver, Colorado. Dr. Rampersaud was a Critical Care Fellow at Montefiore Medical Center in Bronx, NY. Shortly after, he completed his Sleep Medicine fellowship at the Sleep Disorder Institute in New York, new York. He is a member of the American Academy of Sleep Medicine and takes pride in his work. At NY Metro Sleep, Dr. Rampersaud works with patients to evaluate their sleep studies and ways through which they can improve their sleep health. He completed his Pulmonary and Critical Care Medicine Fellowship at the University of Medicine and Dentistry in the Robert Wood Johnson Medical School (Formerly Rutgers Medical School) in New Brunswick, New Jersey. Dr. Mandel has worked as an educator, holding faculty appointments, at the college level at King’s College, Penn State College of Medicine, New York Medical College and at St. George’s University at Sound Shore Medical Center of Westchester. He was the director of Pulmonary and Critical Care medicine at Geisinger Medical Center in Wilkes-Barre, PA. 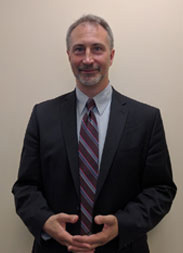 He is now in full time practice in the specialties of Pulmonary, critical Care and Sleep Medicine. As a Sleep Specialist certified by the American Board of Sleep Medicine and the American Board of Internal Medicine, Dr. Mandel has been treating patients with sleep apnea and other sleep disorders for two decades. 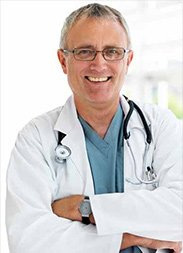 Dr. Boris Dubrovsky obtained his PhD in Psychology from The City University of New York in 2006 and works at NY Metro Sleep as a Psychologist who specializes in Insomnia. He completed his Post-Doctoral Fellowship at the Center for Sleep Medicine at Weill Medical College of Cornell. While at NY Methodist Hospital, Dr. Dubrovsky completed his Post-Doctoral Fellowship at the Center for Sleep Medicine and Research. He currently works at NY Methodist Hospital: Center for Sleep Medicine and Research as a Clinical Psychologist where he reviews clinical sleep studies and provides Cognitive behavioral Therapy for Insomnia patients. At NY Metro Sleep, Dr. Dubrovsky works with the medical team to review and evaluate sleep studies for patients who suffer from Insomnia.